Happy Friday the 13th! LCF donor and long time influencer in the community, Darrell S. Jones, observed Friday the 13th by celebrating with the "Black Cats!" 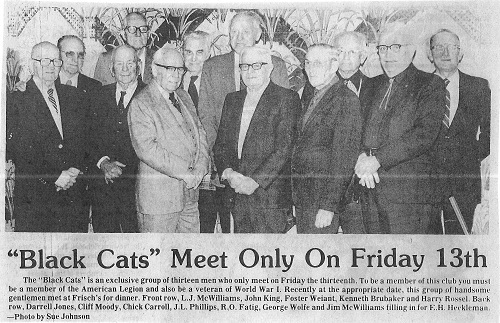 The Black Cats was an exclusive group of thirteen men who met every Friday the 13th! To be a member of the club you had to be a member of the American Legion and a World War I veteran.